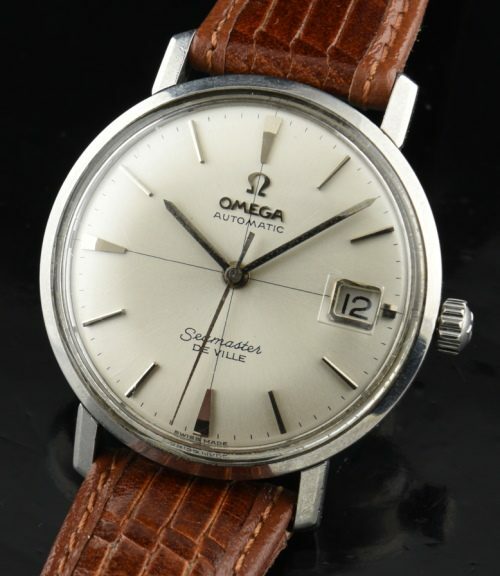 This is a sleek and cool 1960’s stainless steel OMEGA DeVille having a super-clean original quadrant dial. The 34mm. steel case having the relief Seamonster logo looks excellent. The correct OMEGA notched winding crown is installed. This fine automatic winding OMEGA movement was just cleaned and is accurately keeping time. 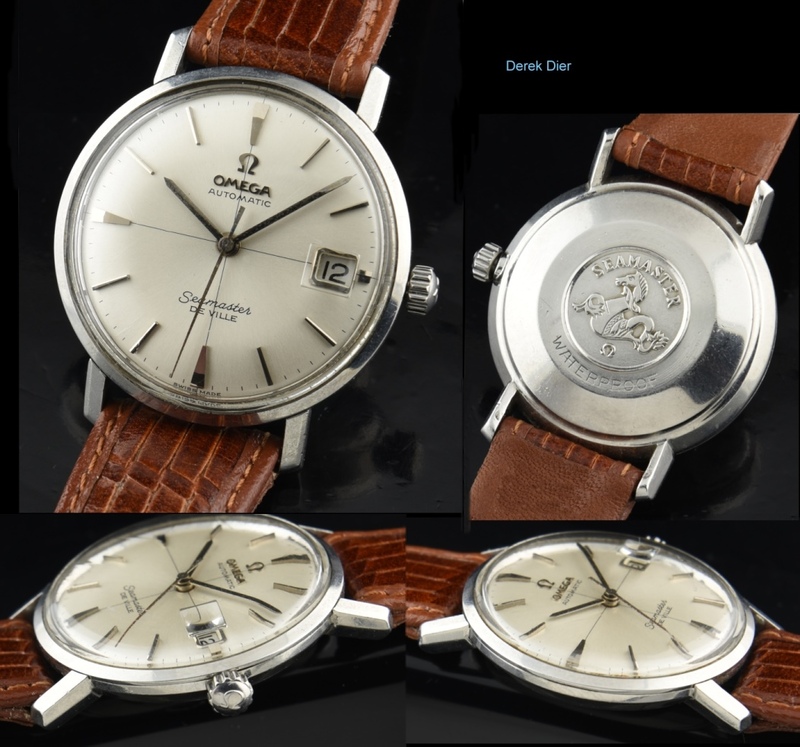 This watch even has its original and (not available from OMEGA) correct OMEGA notched winding crown. Furthermore, the crystal is the correct bubble-date OMEGA hesalite, which is ALSO not available from OMEGA anymore. This is a completely correct and original DeVille example in amazing condition. We supplied this exact black dial version DeVille to the show Mad Men.